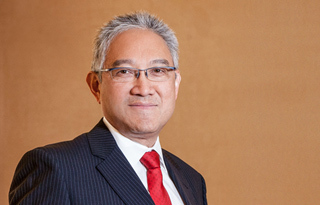 Dr. William Fung is the Group Deputy Chairman of the Fung Group of companies, Group Chairman of Li & Fung Limited and Chairman of Global Brands Group Holding Limited. He is also a non-executive director of various companies within the Fung Group, including publicly-listed Convenience Retail Asia Limited. Dr. Fung has previously held key positions in major trade and business associations. He is a former Chairman of the Hong Kong General Chamber of Commerce, the Hong Kong Exporters’ Association and the Hong Kong Committee for Pacific Economic Cooperation Council (PECC). He was awarded the Silver Bauhinia Star by the Hong Kong Special Administrative Region Government in 2008. Dr. Fung is an independent non-executive director of VTech Holdings Limited, Shui On Land Limited, Sun Hung Kai Properties Limited and The Hongkong and Shanghai Hotels, Limited. He is also an independent director of Singapore Airlines Limited. Dr. Fung graduated from Princeton University with a Bachelor of Science degree in Engineering and holds an MBA degree from the Harvard Graduate School of Business. He was conferred honorary degrees of Doctor of Business Administration by the Hong Kong University of Science & Technology and by the Hong Kong Polytechnic University.